This week I’m celebrating the release of my newest children’s book, The Seven Day Dragon, a quirky , warm-hearted story for eight to 11-year-olds about family, relationships and accepting what is, while still seeing that life is full of possibilities when minds are open. You were only 14 when you were offered the opportunity to illustrate The Seven Day Dragon for Serenity Press. How did that come about? The opportunity to illustrate this book came about when our family friend, author Tess Woods, was meeting with Karen from Serenity Press, to discuss Lara and Tom Woods’ book Lily Reaches The Rainbow. Tess knew that Karen had mentioned she was due to fly to Melbourne soon to look for an artist to illustrate a local author’s new book, The Seven Day Dragon. Tess phoned me the night before the meeting and asked if I would like to send through some examples of my artwork so she could show them to Karen, which I did. The next day, on my birthday, I heard back from Tess that Karen had liked my images, and was keen to offer me the opportunity to work with her, and author Teena Raffa-Mulligan, to illustrate The Seven Day Dragon. I felt incredibly excited and lucky to have such an amazing opportunity at such a young age. I felt very grateful to have Tess’s encouragement and her confidence in my ability to take on such a big project. It’s safe to say that it was the best birthday present I have ever received! It was quite a responsibility to be asked to produce 12 professional standard illustrations for publication. Illustrating The Seven Day Dragon was certainly a lot of work and it was definitely challenging at times to juggle school work, my social and family life, sports and illustrating in order to stay on schedule and meet the deadline, but I was always really motivated by my love of illustrating to make time for it. How did you go about the illustration process? I would always start with a rough thumbnail sketch of the composition of the illustration in the sketchbook that I used for planning and notes, to figure out what positions the characters would be in and what main colours I would use. Then I would move on to an A4 piece of watercolour paper, and sketch out the composition first in pencil, then in pen – adding detail and refining it, and then erasing the pencil sketch underneath. The last thing I would do on each illustration was to add watercolour paint to bring it to life and inks for texture when I was painting the dragon. How long did it take to produce each illustration? My first illustration took me about two weeks until I was happy with it and felt that I was finished, but I found the more I illustrated, the more confident I became, and the faster I could complete an illustration. It took me about five months of illustrating almost every day but I found that towards the end of the deadline I knew what I was doing so well, that by the time I did my last illustration, it only took me about a day and a half. What support and artistic guidance did you receive? I have had a lovely web of support from friends and family as I have been illustrating The Seven Day Dragon, and I have been so lucky to be able to work with such an understanding author and publisher. As I didn’t have any experience in illustrating officially for a book, Serenity Press and Teena were very helpful in giving me some guidance in what they had envisioned for a particular illustration. I am lucky enough to have an artist for a mother who was always ready to offer advice, and family always ready to offer tea, when I was stuck on an illustration. What is your favourite art media? I definitely have different favorite mediums when trying to achieve different results on different subjects, for instance I love using oil paint when doing landscapes and ballpoint pen or lead pencil when drawing people, but at the moment my favourite media would definitely be pen and watercolour paint. Can you imagine your life without art? I can’t imagine a life without art, no! For me art is a release, a way to vent, a way to express what I believe and what I am passionate about. I think life without art wouldn’t really be life at all, in some sense; it would just be survival, because life is art. In Shakespeare’s words, ‘all the world’s a stage’. Whether, like me, your art is painting and drawing, or if it’s performing, or if it’s your green thumb, the way you can always make people laugh, or knowing exactly what that dish needs to make it taste perfect, or maybe your art is your excellent interpersonal skills. Your art, the things you love, make up your life. Your life is your art, because life is how you make it, life is your blank canvas, or your empty stage, or whatever you want it to be. In my few years on this earth I’ve come to believe that self-expression is a very important part of a fulfilling existence. When you’re working on your personal art projects, what inspires you? Self-expression is definitely what I strive for in my personal art. I find that the beauty I see in this world, beauty that cannot always be seen with the eyes, is what inspires me most. I always endeavor to express this beauty, these truths that I see, and I often try to address issues that I feel are important in my art. At the moment what inspires me is human bodies, how amazingly complex they are, how diverse and amazing. More importantly, I’m exploring how society sees our bodies, and how wrong this view often is. Do you have ambitions of becoming a professional illustrator or are your career aspirations in another direction? I actually have always wanted to be an early childhood teacher. I’ve always loved little kids and I think it would be a great outlet for all the creative things I love to do. I think it’s definitely a possibility that I will illustrate again in the future though! Joshua Jones has no one in the world except a fruit loop of a gran and they live in a tiny city flat so he can’t even have a pet. When a spectacular creature on a seven-day visit from Jupiter offers to be his houseguest during its Earth stay, Josh thinks his luck has changed. His nothing life is about to become awesome. His celestial visitor eats frozen peas and crossword puzzles, answers questions with questions and is invisible to everyone except him. That should have warned Josh to expect the unexpected. He finds himself in trouble at school and minus a best friend. As the days pass, time is running out for Josh to get a trip to Jupiter, which would have made up for all the complications Traveller has caused. Soon his house guest will be gone. Old Bob, the only person who seems to understand Josh, will be gone too. Josh’s life will be back the way it was… or will it? 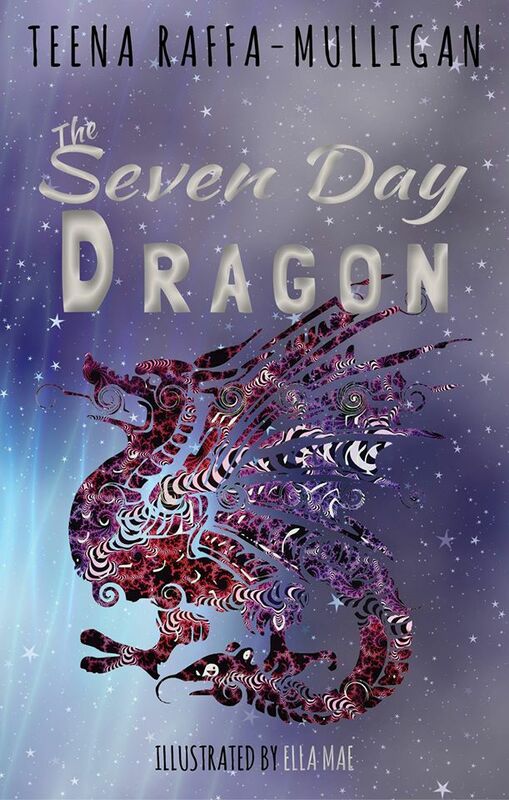 The Seven Day Dragon is available from Serenity Press here. David’s top tip for aspiring authors: Pay attention to the mechanics: syntax, grammar, punctuation, etc. No matter how brilliant your ideas, you have to be able to express them clearly. Edit and proof-read your manuscript carefully – or pay someone else to do it – before submitting it anywhere. 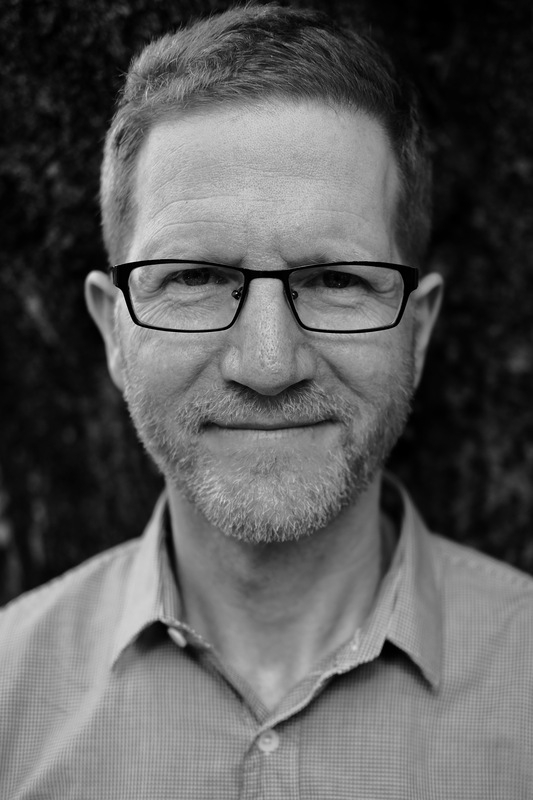 David Cohen grew up in Perth, Western Australia and now lives in Brisbane. His first novel Fear of Tennis won a Varuna/HarperCollins Manuscript Development Award, and was published by Black Pepper in 2007. His short fiction has appeared in The Big Issue, Meanjin, Seizure, Tracks and elsewhere. In 2016 his short-story collection The Hunter was shortlisted in the inaugural Dorothy Hewett Award for an unpublished manuscript. Why do you write? I’ve always enjoyed the process of stringing words together, creating imaginary situations – and I like being on my own. What would you be doing if you weren’t a writer? I’d be a professional surfer, were it not for the fact that I can’t surf. What was your toughest obstacle to becoming published? As far as novels go, the hardest thing, apart from producing a manuscript of publishable standard, has been finding a publisher who can see that book’s potential. I think a lot of publishers shy away from novels like Disappearing off the Face of the Earth – novels that don’t fit comfortably into a marketable category or fictional genre – so it took a long time before I found someone (in this case Barry Scott at Transit Lounge) who believed in it enough to want to publish it anyway. What’s the best aspect of your writing life? Writing is for the most part a solitary endeavour and that suits me well; I like sitting alone in a room, making up stories. —the worst? Not having sufficient time to do the above. It can be difficult to achieve a good balance between writing fiction and earning a living, which in my case are two very different pursuits. What would you do differently if you were starting out now as a writer? I might go the academic route, get a PhD in Literature or Creative Writing, and become a lecturer, so that writing would be a legitimate part of my job. What do you wish you’d been told before you set out to become an author? 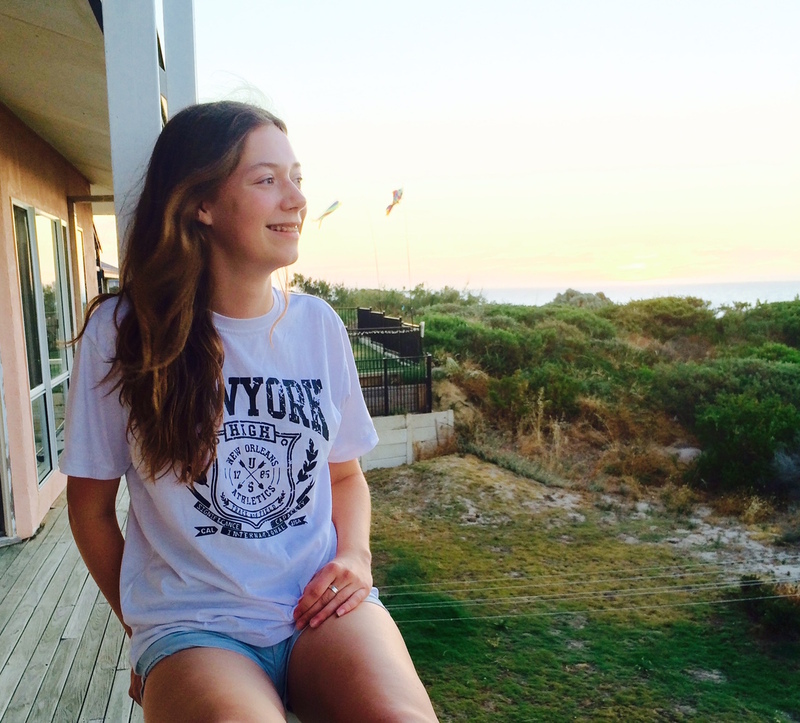 Do something else altogether – why be miserable? But I probably would have ignored that advice anyway because writing is the only thing that genuinely interests me – even though I’ve always had to make a living by other means. What’s the best advice you were ever given? I can’t recall, but I’ve always found the aphorism ‘less is more’ very helpful. I think it was the architect Mies van der Rohe who coined that one, but it applies equally to writing. Hideaway Self Storage, located just off Brisbane’s M1, is in decline. But manager Ken Guy and his assistant Bruce carry on with their daily rituals even as the facility falls apart around them. Lately, however, certain tenants have been disappearing off the face of the earth, leaving behind units full of valuable items. Ken has no idea where these rent defaulters have gone but he thinks he might be able to turn their abandoned ‘things’ into a nice little earner that could help save his business. But the disappearances are accompanied by strange occurrences such as Bruce’s inexplicable late-night excursions, Ken’s intensifying aversion to fluorescent lights, and Ken’s girlfriend’s intensifying aversion to Ken. While further along the motorway, construction of a rival facility – Pharaoh’s Tomb Self Storage, part of a nationwide franchise – hints at a mysterious past and a precarious future. A surprisingly funny study of physical and mental deterioration, David Cohen’s second novel is never quite what it seems. Sharply attuned to the absurdities of contemporary urban life, it is that rare literary beast, a comic drama that is at once intelligent and suspenseful, humorous and deep. 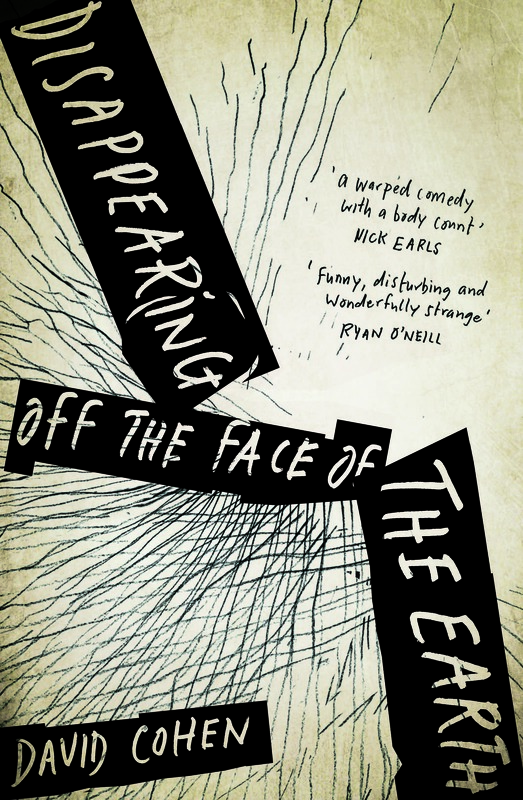 Disappearing off the Face of the Earth is available here.